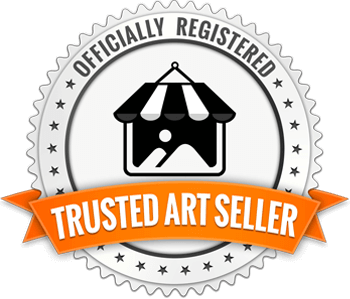 Voted Tucson's Best Visual Artist 9 Times! Artist Diana Madaras says, "Painting fills me with joy." She is equally well known for her bold, colorful artwork as for her generous charitable giving. Madaras owns the gallery in Tucson, Arizona that features her work, and she is president of the non-profit Art for Animals Foundation, a charity she founded in 1999 to help abused, injured, and orphaned animals. Madaras is very active in community service, and her art has benefited more than 100 charities. "I believe that when you have a wonderful, fortunate life, it's important to give back and help others who need a hand up," she said. In 2008, her art show African Sojourn raised $80,000 for charity. The show followed a safari to South Africa and Botswana, a trip the artist describes as an unforgettable adventure. "If I can help animals and people through art, there's nothing better." As a former board member of the Boys and Girls Club, Madaras donates thousands of dollars' worth of paintings and art gifts to the organization's annual auction. Her art calendar benefits animal causes, and in 1999, the Arthritis Foundation named her Philanthropist of the Year. In 2000, the Rotary Club of Tucson honored her with its Four-Way Award, the highest honor given to a non-Rotarian for community service. Madaras was named Woman of the Year by New Beginnings for Women in 2003, and in 2009, she received the Wells Fargo Copper Cactus Award — one of Tucson's highest honors for community service. Madaras was voted Tucson's Best Visual Artist nine times. Dozens of newspaper and magazine articles have been written about her and her work, and she has been featured on television shows produced by NBC, CBS and PBS affiliates. Madaras earned a master's degree from the University of Arizona in 1977. 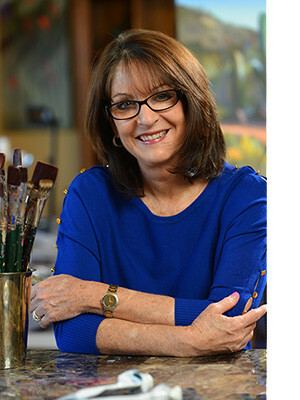 Before opening her art gallery, she operated a high-profile sports marketing company in Tucson, promoting major sporting events including LPGA and PGA golf tournaments. A month-long painting trip to Greece in 1993 changed her life, prompting her to sell her marketing company and devote her career to painting.